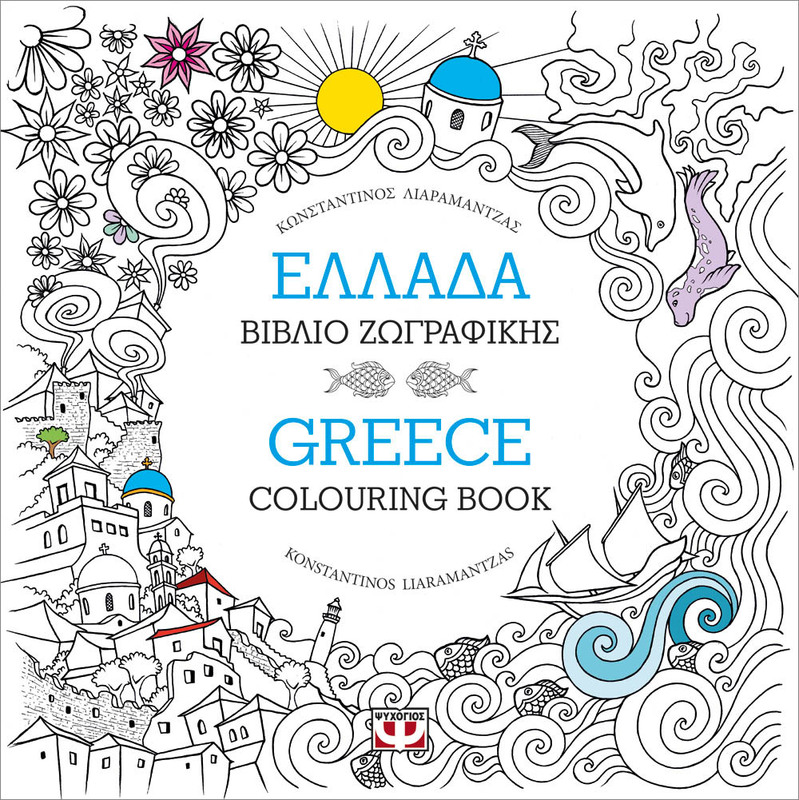 Come to know Greece with “Greece Colouring Book”, by Konstantinos Liaramantzas ! Color its breathtaking islands, visit its unforgettable archaeological monuments, bring life and color the ports and streets of its beautiful towns. 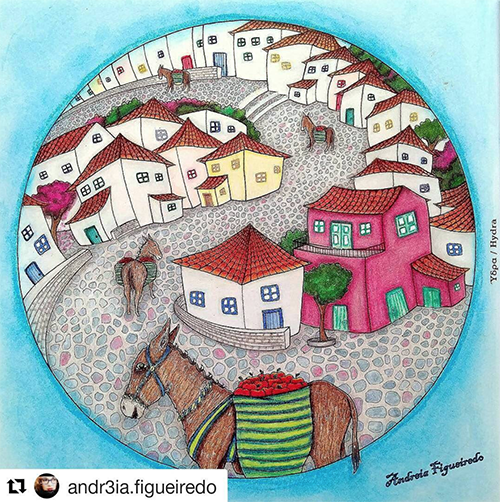 The 54 designs in this coloring book are hand-drawn, harmonious and quite detailed. 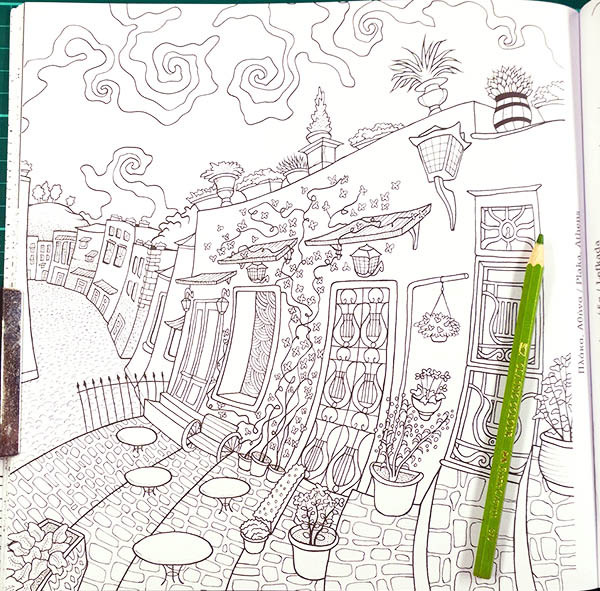 Intricate elements are included, with lots of tiny spots to color. You can see that the designs of this book are both realistic and very “cartoon” style, which will allow you to exploit all your creativity. 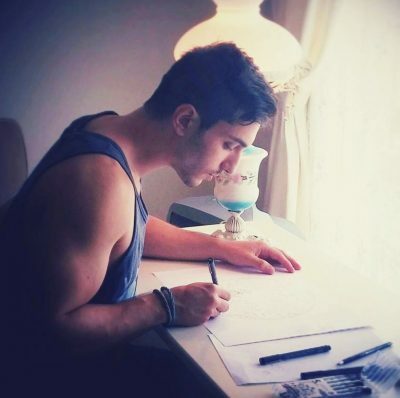 ” The book is signature bound (my preferred method as the pages can’t fall out) and composed of smooth, bright white, medium thickness paper that stands up well to colouring. The tooth is very good for pencils and I had no issues with layering 3-4 layers of pencil. The black print is nice and sharp with no pixelation. 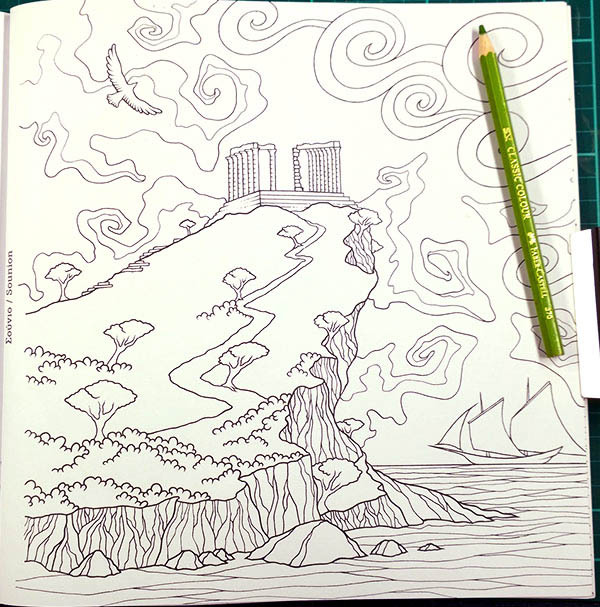 The pages are printed on both sides so that will limit some of the materials you can use on it… alcohol markers are a no go. The cover is soft but sturdy. 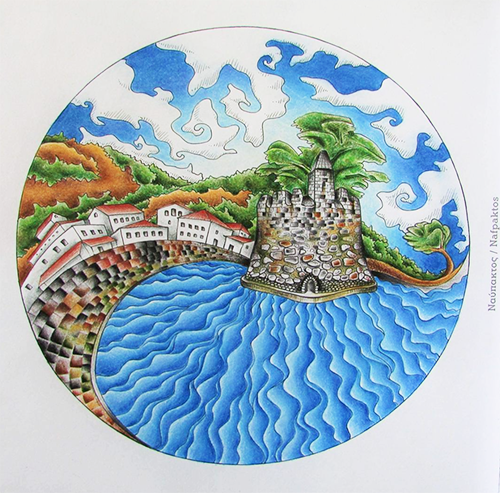 All of the book features sudo-realistic scenes from Greece with many famous landmarks included. The art work is quirky and cartoonish with some play around perspective and lenses. Konstantino’s drawings have just the right amount of detail that appeals to me and there is a lot of variation is his subject matter. 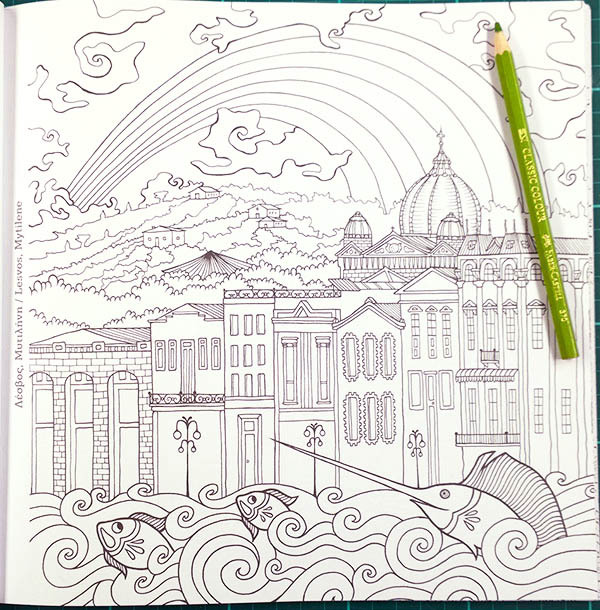 Here are some illustrations from this Coloring book, coloured with talent ! 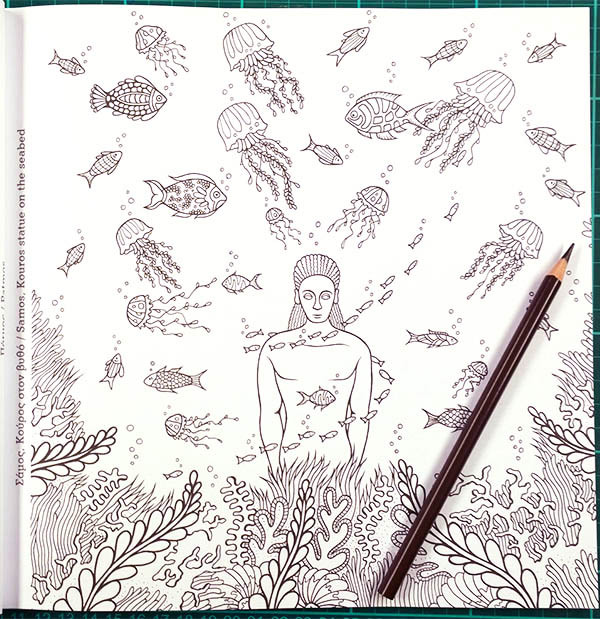 If you want to purchase this coloring book, you can do it here. 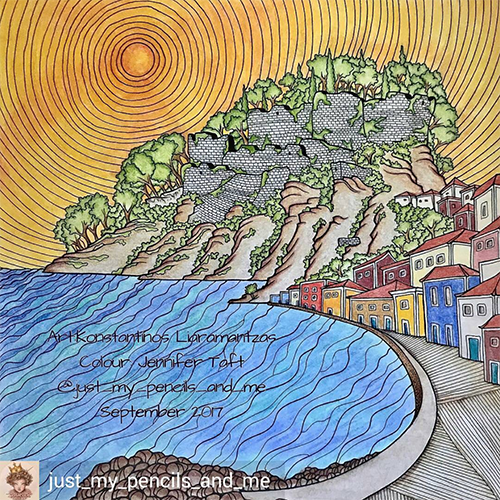 You can also find some free coloring pages made by Konstantinos Liaramantzas on his artist page.